This necklace is a bit different, in that it is made of purple spiny oyster shell. Each piece of shell is separated by dark brown natural Heishi shell. The color scheme is unique and original. It is lovely necklace. I have been working with Kenneth for many years now. His brother Eddie was the designer of our hand pulled sterling silver chains. Sadly, he died recently. But Kenneth is known for his phenomenal stone work. 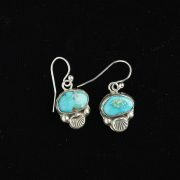 He studied at the Institute of American Indian Art in Santa Fe from 1967 – 1971 sand has been making jewelry for over 30 years. He learned the art of jewelry making from his mother, Ventura Aguilar. He and his wife, Angie Crispin create these wonderful necklaces together. I have been working with Kenneth for many years now. 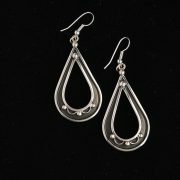 His brother Eddie was the designer of our hand pulled sterling silver chains. Sadly, he died recently. But Kenneth is known for his phenomenal stone work. 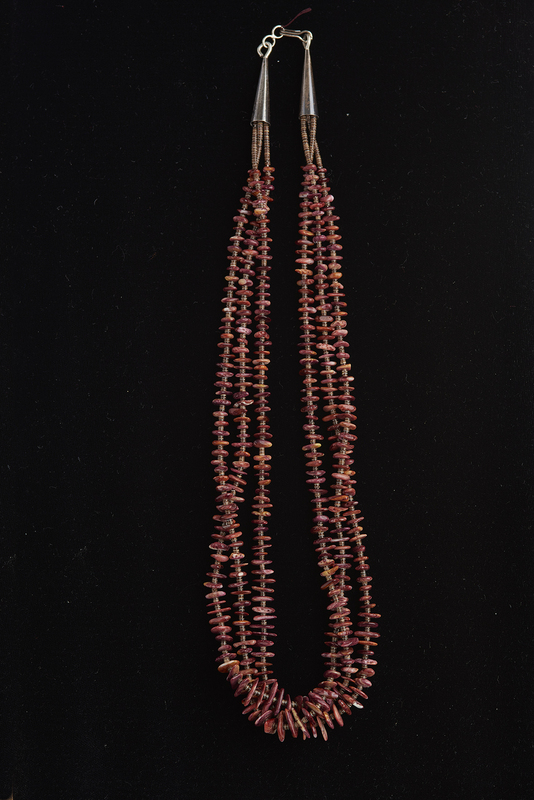 He studied at the Institute of American Indian Art in Santa Fe from 1967 – 1971 and has been making jewelry for over 30 years. He learned the art of jewelry making from his mother, Ventura Aguilar. He and his wife, Angie Crispin create these wonderful necklaces together.